Career History. How did you start skating? In my home town of Baltimore, MD, I first picked up a skateboard at the age of 12 after my bike was stolen. Soon after I was competing in amateur contests and quickly climbed up the ranks as a professional skateboarder. Career Honors, Awards, and Highlights: Bucky has won 12 X Games medals, six of which have been gold. He continues to maintain his place among the top of the vert world, taking top titles in the Dew Action Sports Tour, ASA Championships, and the X Games. He not only dominates the vert contest scene, but also repeatedly commands the best trick and bowl contests as well; proving his aggressive and innovative style. 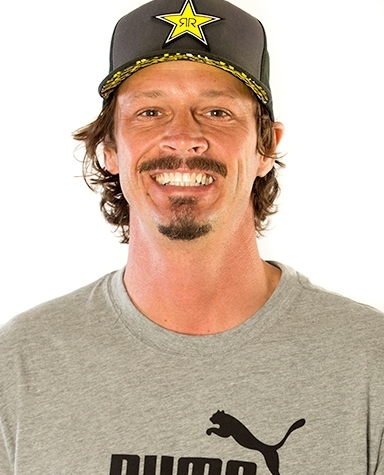 In 2000, Bucky became the first skateboarder ever in the history of X Games to win gold in two consecutive years with back to back wins in 1999 and 2000. He repeated the honor in 2003 and 2004.